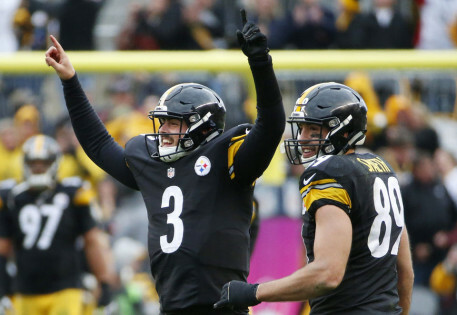 It took Landry Jones over three NFL seasons to finally get into a regular season game but when he did today he made the most of it. The former Oklahoma Sooner quarterback great tossed two touchdown passes to Martavis Bryant, one a ten yard catch and added 78 yard run after the completion (88 yards in total and a game clinching score) as Jones went 8 of 12 for 168 yards and no interceptions. Jones replaced an injured Michael Vick in the 3rd quarter and the 8th offensive drive for the Steelers of the day. Vick was not effective in his play today. From CBS Sports: More importantly for the Steelers, the offense resembles what it looked like with Roethlisberger under center, at least in the sense that game plans don’t have to be revamped to accommodate a left-handed, run-first quarterback who has had six weeks with the playbook. Pittsburgh has found their starter next week and their back-up quarterback for the near future. if one team is clearly better and has a chance to win a National Title and the other one has played poorly and is not deserving for that year it is an easy choice. Yet if the weaker team pulls the upset I don’t get bothered as I once did. I am not a die hard fan any more, and as you get older you come to see that sport is for enjoyment first and foremost. I enjoy the games, all the games.